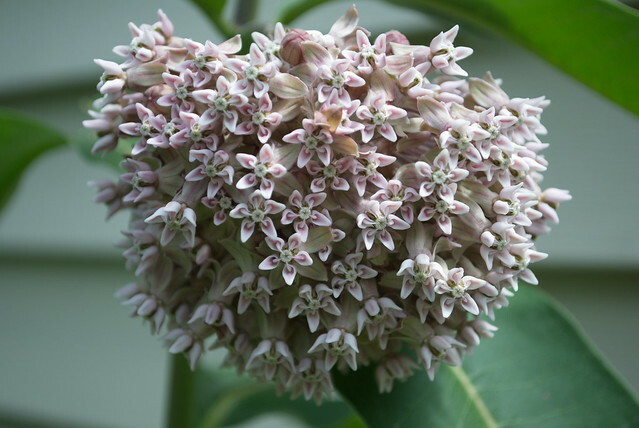 The milkweeds are all around the house and yard now. I can't remember if this is early for them due to the weather, or if this is right on time. I just know they are all around the house and yard. Where there are milkweeds, there are monarch butterflies. I'm thinking the extended summer days might be good for them. They have more of an opportunity to store up food before heading south to Mexico. Maybe that's a pipe dream, that they can only store just so much and their travel is more timed by light and day length than warmth, but I can hope. I'm waiting to see the first monarch in the yard now. I love this photo. The blossoms almost look plastic, so delicate.